Dr Carl Wunderlich, who died in 1877, is famous for his measurement of average healthy body temperature of 37°C. (98.6°F). Using a thermometer reputedly a foot in length – and needing 20 minutes to register the temperature – he tested around 25,000 patients and took over 1 million readings. He was at the forefront of medical science for his time but his “normal body temperature” of 37°C has gradually been seen as an oversimplification of reality. In fact, normal temperature is actually a range because no two human bodies are the same. In addition, we all react differently to external factors and disease. Body temperature can also vary according to: how much we’ve eaten; our stress levels; hormones; and different levels of exercise. Something – normal body temperature – that, at a glance, seems simple turns out to be much more complicated. And this is also the case with the human knee. On the face of it, the knee simply joins the top of the leg with the bottom of the leg. It bends and straightens to allow us to move efficiently. The truth turns out to be much more complex and, in this article, we will look at three aspects of the knee which relate to personal injury claims. Firstly, we will consider: what do we mean exactly by the knee? We’ll then go on, secondly, to examine what sorts of accidents cause knee injuries and what kinds of knee injuries do people suffer? Lastly, we will have a look at the values of compensation which apply to the various forms of knee injury, in Scotland. 1. What do we mean by the knee? The knee is the largest and most complex joint in the human body. It’s basically a hinge joint, but it doesn’t just move in one plane, like a hinged gate, opening and shutting. In medical language, simple hinge-like movements are known as flexion (bending) and extension (straightening). Instead, additionally, the knee joint has modifications to it which allow a slight amount of rotation, both inwards and outwards. The junctions of several bones (the patella (knee cap); femur (upper leg bone); tibia (lower front-of-leg bone); and fibula (lower rear-of-leg bone). Cartilage (this is found on the end of bones that touch other bones – it allows the bones to move more freely against each other; another term is “meniscus”, plural menisci). The forces absorbed by the knees vary with different activities. Walking effectively requires the knees to support 1.5 times our body’s weight. With climbing stairs, that increases to 3 or 4 times. And squatting – think how strenuous that is! – takes it up to an approximation of 8 times body weight. 2. What sorts of accidents cause knee injuries? A direct impact sustained to the knee by an elderly person who falls onto a hard surface can result in a fracture of the knee cap. Sports that involve sudden stops, jumping or changes in direction – such as football, or skiing – can result in a tear of the anterior cruciate ligament (one of the “criss-cross” ligaments) which can lead to considerable pain and instability in the knee. A roofer who slipped on a pitched roof near Huntly, while manhandling a heavy board with a colleague, twisting his knee and suffering a torn meniscus (ligament). An office worker at Kinloss who caught her foot in the trailing cord of a window blind, fell and badly sprained and bruised her knee. A visitor to residential property in New Elgin who fell through an unsecured manhole cover in the front garden, suffering knee ligament damage. A bus driver who fell into an unguarded pit at a garage in Buckie, suffering multiple injuries including a broken knee cap and ruptured anterior cruciate ligament. A cleaner at supermarket premises who tripped on a protruding cardboard box and fell awkwardly, damaging a tendon in her knee. 3. What sorts of values apply to the various forms of knee injury? 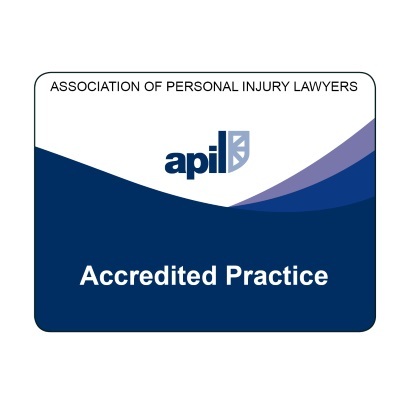 Solicitors and insurers tend to refer to the Judicial College Guidelines as the initial guidance on the valuation of the injury part of a personal injury claim. It is, in a way, the “Glass’s Guide” of personal injury claims. In some situations, it provides very clear guidance; in others, it gives you only quite a wide ballpark range of values. 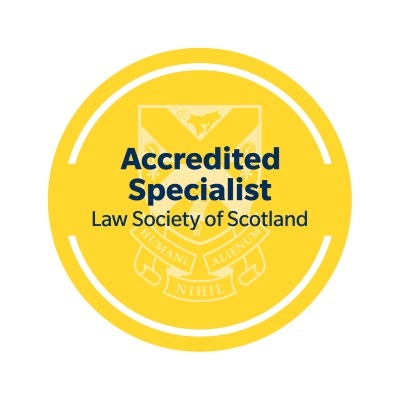 In Scotland, in the case of knee injuries involving dislocation, or torn cartilage/meniscus – also lacerations, twisting or bruising injuries – where recovery has been complete the award is unlikely to exceed £4,770 (and might be worth a lot less than that). Injuries involving knee dislocation, tears to cartilage/meniscus, resulting in ongoing minor wasting, instability, weakness or other mild disability have a recommended range of values of £11,820 to £20,880 in Scotland. Also within this range, knee injuries where the person had a pre-existing degenerative condition in the knee (which may not have been producing any symptoms) and the trauma of the injury has accelerated the onset of chronic knee symptoms by a prolonged period of years. The gap between these brackets is filled by cases which may still involve knee dislocations or meniscal tears but “less serious and involving shorter periods of acceleration”. In Scotland, this covers recommended “pain and suffering” values up to about £11,000. an arthroplasty (surgical reconstruction or replacement of the knee joint) or arthrodesis (surgical immobilisation of the knee joint through fusion of the bones) has taken place or is inevitable. The nature and extent of injuries within this description is very broad indeed and the range of values (in Scotland) runs from about £21,000 up to over £75,000. All amounts discussed here are the valuation for the injury alone. Any other heads of claim, such as past and future wage loss, services and out-of-pocket expenses are additional. 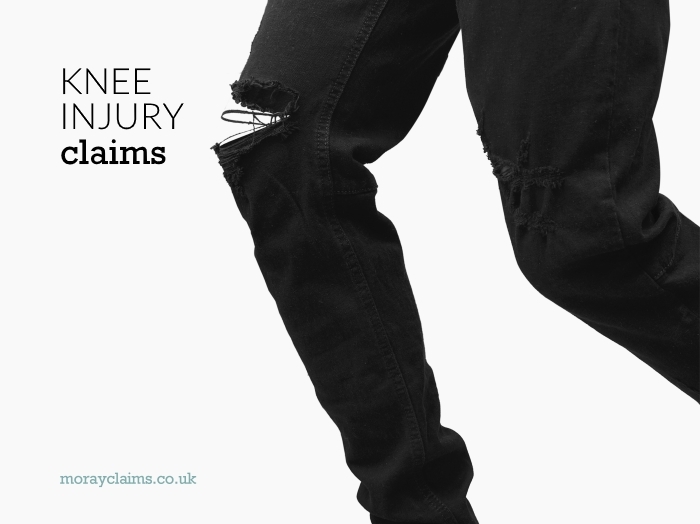 In this article, we’ve considered knee injury compensation claims. The knee is a multifaceted joint – “not simple” in the same way that “normal body temperature” is not simple. Its intricate nature exposes it to the risk of injury in a variety of ways. 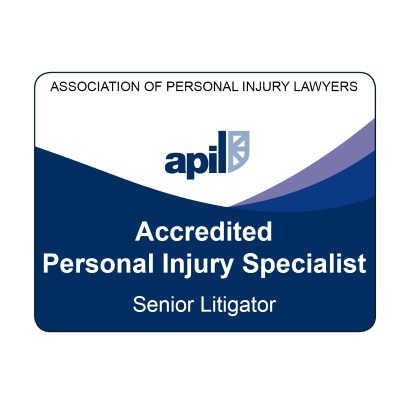 The range of personal injury compensation amounts for knee injuries is extremely wide. We hope you’ve found the information here to be useful. If you have any questions at all, please get in touch with us. All initial contact is free of charge and there’s obligation to take matters further. Call us on 01343 544077 or send us a Free Online Enquiry.